Google+ bios allow you to embed dofollow links and the value of these is the same as it is for any other page on the search engine. Bio pages metrics can be added to and visibility can be raised in the same way as any other page – with links, post shares and the number of people who engage with you. Optimising Google+ post title tags for specific keywords gives it a great chance of ranking highly in the search engine. It’s also something that is very influential on the click through rates. So, we would suggest that you take time when choosing your keywords to make the most of this feature. There is often debate over whether the + or the number of people in your circle is of more importance and to be honest there is no straight answer and one does not trump the other. Like a lot of things in social media and SEO, things are intermingled. If you increase the number of +1, you increase visibility and in turn this increases the number of people who may want to join your circle. This then increases the likelihood of people wanting to +1 and so on and so forth. One of the factors complements the other, meaning one is as equally as important as the other. Google+ also gives you great leverage when hoping to connect with influential people in your area. There are all sorts of ways to show people you have mentioned them in one way or another and help you connect with those influencers. These people may then take a look at and share your content, allowing you significant benefits from their circles. Google’s Ripple feature on Google + can also be a great way to identify, befriend and connect with the important people in your area. 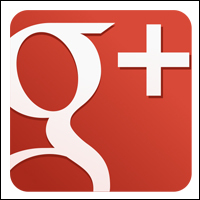 It’s a simple, visual way to make the most of Google+ and be savvy and smart to use it to your advantage. Most businesses are focusing on local search and Google + is still one of the best sites for leveraging this area. Claiming your place on the business page, merging with Google + Local and then using the site like you would any social media network is a must. As you know, depending on audience, some content works and other content doesn’t – so experiment. Google + is a powerful platform for SEO and social media and is going no where, so whether you’re an early or late adopter – make the most of it now or get in touch with MySocialAgency to find out more about Google Plus.